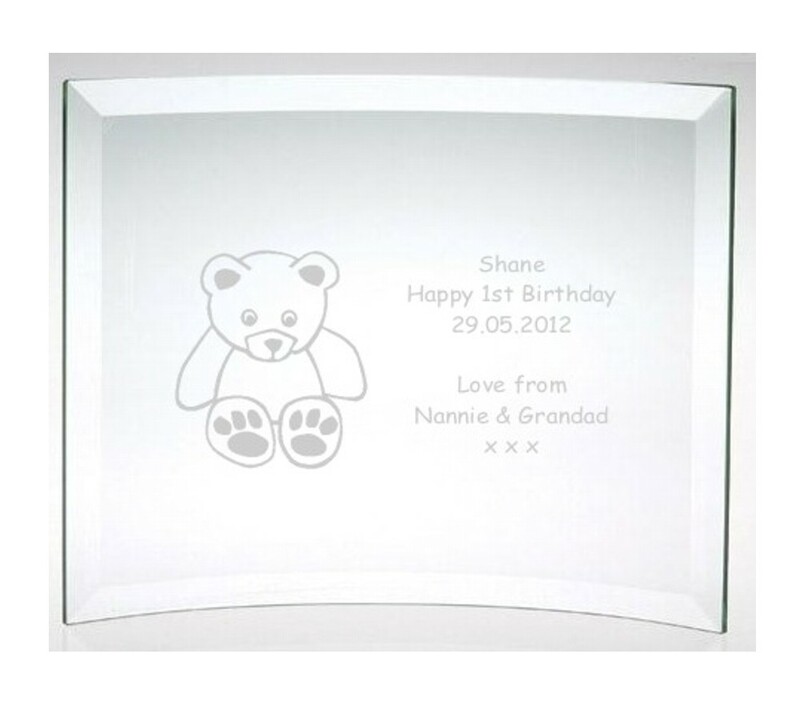 Engraved Happy 1st Birthday Glass Plaque. The item comes with no pre-set text only the cute teddy bear image. Please supply us with your personalised text by entering it in the Customisation box below.